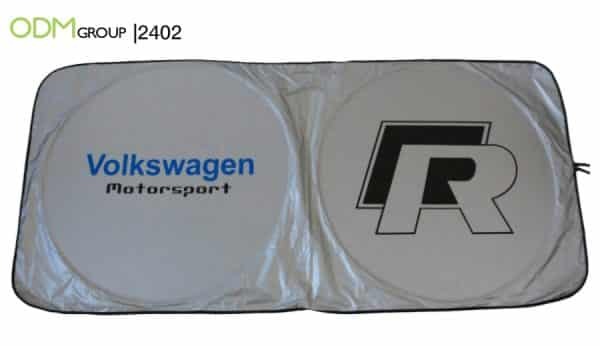 Heighten brand exposure with these simple yet effective promotional windshield covers! Windshield covers are one of the best automotive promotional items for car promotions. Great for car dealerships and other related industries, companies will definitely reap invaluable advertising benefits beyond shop floors. No one likes getting back into a scalding hot car that was parked in the open for hours together. Car dealerships or repair shops can comfort their customers with automotive promotional items like windshield covers for their next trade show or event! With so many types of windshield covers out there, which one is for you? In this article, we will discuss the top 2 most popular windshield covers for your next marketing giveaway campaign. These 2 materials are some of the most common materials for your windshield covers. While both materials do their jobs in blocking out UV rays and keep cars cool from the heat, let’s make a side by side comparison between the two. 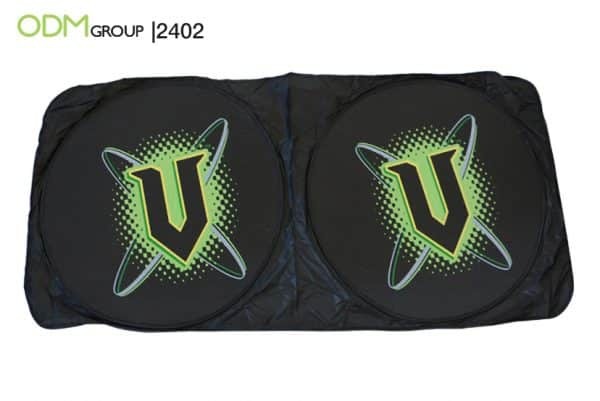 Windshield covers provide massive imprint areas to highlight your logo and brand message for the world outside to see! The standard size from factory for the aluminium foiled windshield covers is 130cm by 60cm. This falls short in comparison to the polyester windshield cover’s standard size of 150cm by 70cm. Not only does a larger size provides more windshield coverage, it also provides extra high-visibility advertising space for your business. While the polyester windshield covers can provide higher brand visibility on the streets, they falls short slightly in terms of UV rays blockage. So if the basic function of the sunshades is more important for your business, the aluminium foiled windshield covers may be a better choice. When it comes to storage space, the polyester windshield covers win hands down. 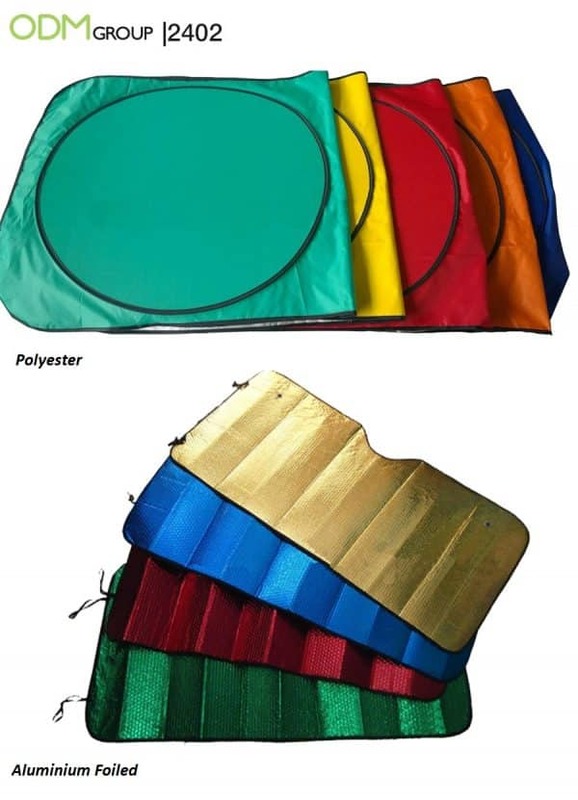 The polyester windshield covers features an easy-fold system and spring wire design. This allows them to pop open and folds up in a quick and easy fashion. If easy organisation is a more desirable trait for your automotive promotional items, consider the polyester windshield covers. Often when it comes to promotional offers, it all boils down to your marketing budget. With larger size and better storage appeal, the polyester windshield covers naturally also cost more. If you have a tight budget, maybe the aluminium foiled windshield cover is a wiser choice. After all, whether polyester or aluminium foiled, they are both great automotive promotional items for your car show giveaways. Block the sun and not your logo with these windshield covers that your customers are sure to find useful on any sunny day all through the summer months. Intrigued to find out more? Feel free to send us an inquiry for product code 2402. Our staff will be more than happy to help you with your promotional gifts. We can help from designing, to sourcing and manufacturing marketing gifts that suit your marketing budget. Want to read more on the materials that windshield covers has to offer? Check this blog out. Here’s another blog on promotional windshield covers. See why this product is a fantastic automotive item. 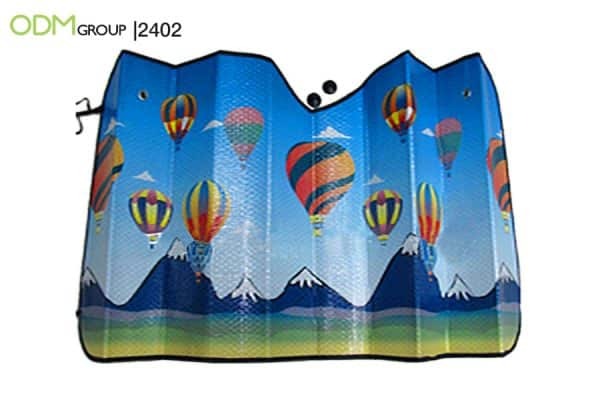 Promotional Static Sunshade for you Car. Looking for other automotive promotional items? Read this blog to find out how you can market your brand with the car mirror covers. Or, a car phone holder if you are looking for a more high-end promo gift.